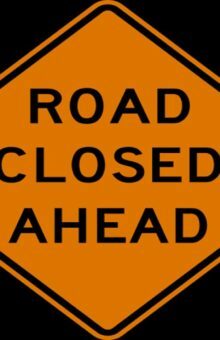 Peanut Plant Road will close on Monday July 30, at 8:00 and will open August 10 at 5pm. This will be closed for crossline repair. It is closed 0.46 mi S of NC 87 Business in the vicinity of Campbell Oil Company. Chicken Foot Road will close on Monday, August 6, at 8 am and will re-open August 10 at 5 pm. This is closed for crossline repair. It is closed 1.64 Mi. S. of SR1302.